There are numerous and varied ways that BASNCR members can make a difference. Enjoy writing and design? Be part of our newsletter team. Or contribute an article. Want to volunteer or know more? Enjoy planning and organizing? Scouting out exhibition venues? Creating exhibit themes with an educational or historical twist? Helping with publicity? Assisting with artwork hanging and take-down? Planning a reception? Be part of our Exhibits team. Enjoy thinking creatively about education and outreach? Planning field trips? 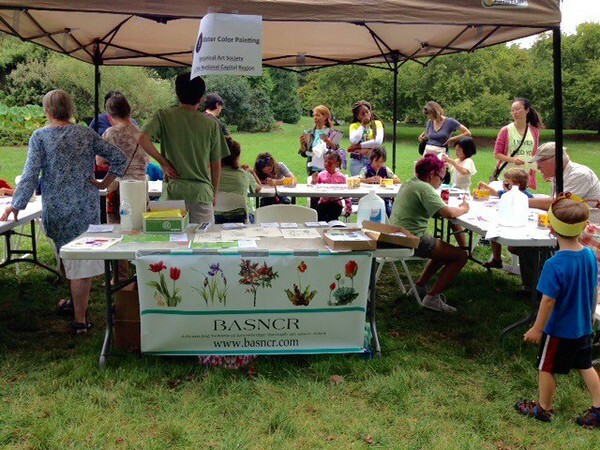 Introducing kids and adults to plants and botanical art? Be part of our Education activities team. Enjoy taking care of organizational business? Consider serving as an officer. Roles are well-defined to keep it fun and manageable.